In the first quarter 2011, the Apple Store (physical and digital) were responsible for no less than 20% of overall growth in sales in the United States. David Berman, director of an investment fund with some Apple stock, notes that Apple stores are a powerhouse: their growth is very strong, and evens an exceptional start to the year 2011 that was the way to most traders and distributors. Thus, in the first quarter, the Apple Store generated revenues of $ 4.6 billion in the U.S. (3.25 billion Euros), up 80% over the first quarter of 2010. The iPhone is one of the engines of growth: sales increased by 113% in one year. Apple has the distribution network and the fastest growth in the United States, to Amazon and Wal-Mart. The success of online stores and Apple drive is also visible, if not more, outside of the United States. In Europe, sales were up 49% for a turnover of 6 billion dollars (4.2 billion). In the Asia-Pacific, the most dynamic for Apple, sales were up 151% to $ 4.7 billion (3.3 billion Euros). According to analyst Joseph Beaulieu of Morningstar, Apple could maintain a growth rate of turnover of sales of approximately 20% over the next five years. 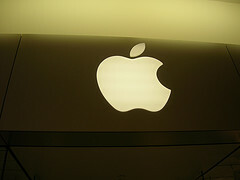 Despite the potential risk posed by dependence on IOS and especially to the iPhone: Apple works in cycles and replaced the extreme dependence on the iPod with a higher dependency on the iPhone, which also tends to the balance with the success of the iPad - the situation could be resolved by itself as Apple continues its diversification.